I’ve had a soft spot in my heart for Armando ever since the last AskMen Academy event at the Dream Hotel, where he told me I had this fabulous aura, this glow, that emanated from my very being! Now, that’s flattery! 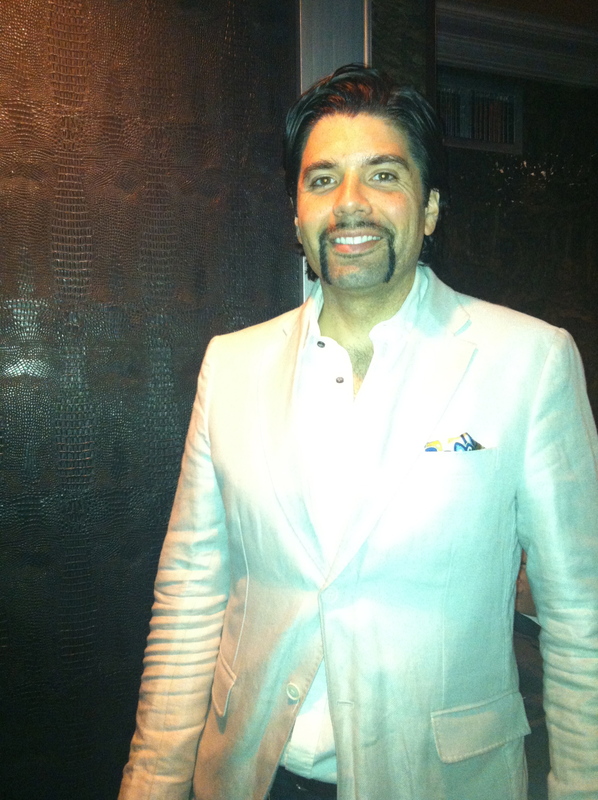 Finally, FashionWhirled had the good fortune to catch up with Armando this past week at AskMen’s most recent event this past Wednesday night, a joint venture with the 1801 Club and Chivas, where the confab debuted the two heavyweight men’s brands’ “33 Rules Every Man Must Live By” booklet. The little black book was curated by fashion expert Tom Julian, who was doling out modern fashion advice to the style-seeking guys in the crowd. 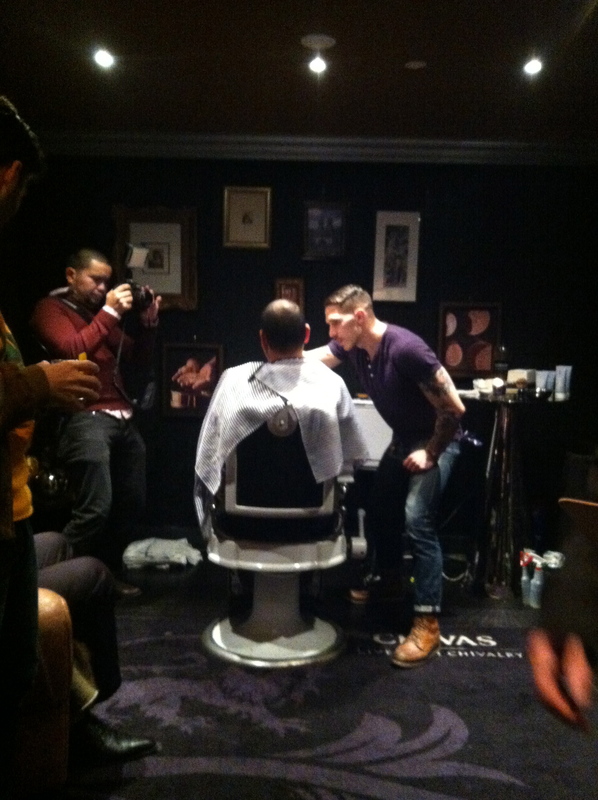 Also on hand was the East Village’s Blind Barber, who served up wet straight shaves to guests all night (and, no, their barbers are not blind!). The venue was a stunning lounge with fooze ball and billiards built out specifically for AskMen in an old subterranean dance club in the east 50s. 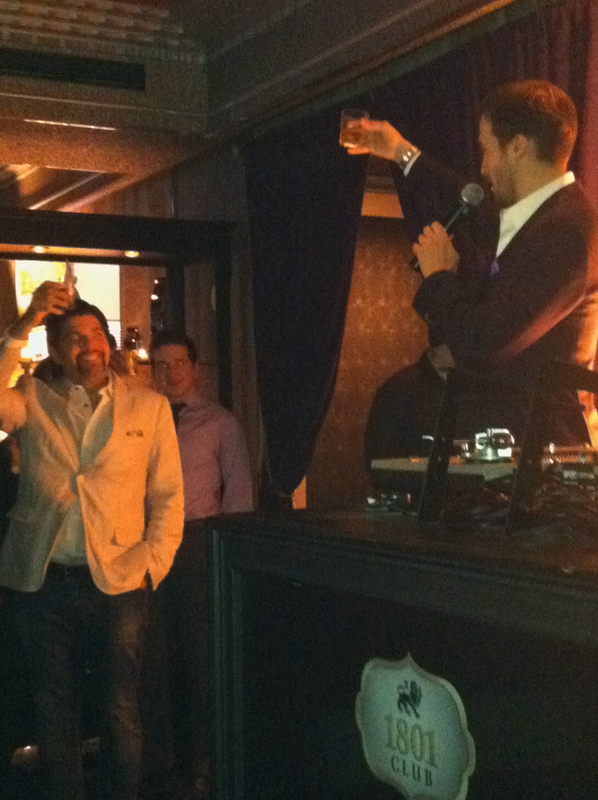 And, trust me, Chivalry wasn’t dead – it was the tropical-tasting scotch drink of the night! FashionWhirled: What role does fashion or style play in your everyday life? How is that reflected in the men’s designers that you choose to buy and wear? Armando Gomez: Style is a very big part of my life. I always think that you should look how you feel. And these days, I feel pretty great. And since I always look to improve something about myself, naturally, adding key pieces to my wardrobe is the goal. You know how they say “quality over quantity?” Well it’s true. Invest in your wardrobe just like you invest in yourself. My latest find is a Robert Graham silk scarf. I bought two actually! FW: What was your “aha!” moment that led you into the fashion world? 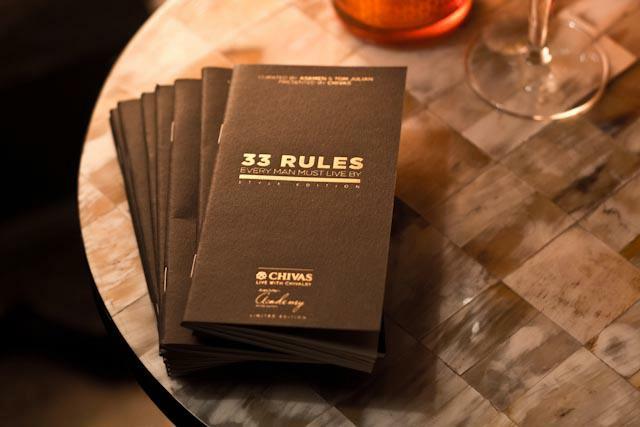 33 Rules curated by AskMen and Tom Julian, presented by Chivas. Photo by Travis Brown. AG: I would say my goal in focusing more in fashion came from creating the AskMen Academy series. On AskMen.com, men would ask us about more articles and videos about dressing better, so I said let’s do one better and bring the AskMen experts to them! So working with renowned stylists (like Tom Julian) and barbers (like Blind Barber), we’ve embarked in a multi-city tour of the US. With premium sponsors on board, we’ve created bespoke custom experiences in every market, with a curated, invite-only, guest list of local influencers an tastemakers. And by connecting our users with brands that matter, we’ve been able to deliver a personalized approach to help our readers become better men. FW: What’s been your favorite piece of clothing ever? AG: Probably a cool pair of sunglasses. They can definitely transform your look. 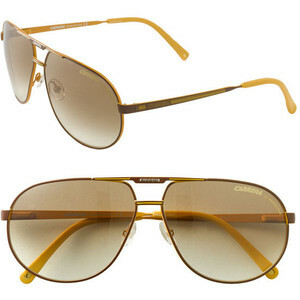 My current set is a classic pair of Carrera. Can’t go wrong with them. FW: Who is your muse? Why and how does he/she/they inspire you? AG: I wouldn’t say I have a muse per se, but I’m actually a very curious person by nature. So I’m always looking for new styles, colors and designers to upgrade my look. My latest purchase? 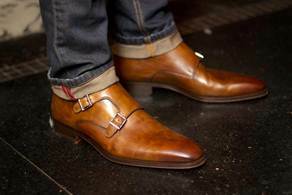 Dirty leather double-monk straps, by Magnanni. Using leather from France and Italy, they’re made in Spain. Three countries rich in cultural style. FW: If you could have any notable individual — dead or alive — collaborate with you at work, who would that be and why? 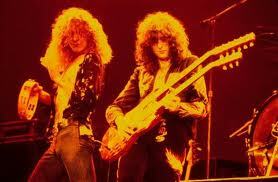 AG: I’ve always been a fan of Led Zeppelin, and especially founder and guitar player Jimmy Page. I find he embodies what true art is all about in how he composes songs. His unique vision and sounds forever influenced all styles of music. 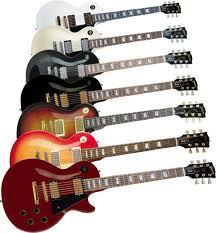 I don’t know what would come out of a collaboration, but at least I might get him to sign my Gibson Les Paul guitar! FW: What words of wisdom or inspiration, or daily affirmation do you live by, or at least strive to live by? AG: Every day, be happy when you wake up, do something for the first time, meet a new person and spend time with friends and family. And above all: do what you love and look good doing it. This entry was posted in fashion, Friday:5ive, men's wear, Uncategorized by kim cihlar. Bookmark the permalink.